Every October, I like to have some bedtime reading that suits the season. I just finished two new books: Midnight Fires and The Ghost and Mrs. Muir. The first is a mystery by Nancy Means Wright that features Mary Wollstonecraft as its intrepid detective. Wollstonecraft is a great choice for the role, as anyone who has read her Vindications would agree that she has all the nerve, smarts, and wit to boldly ask the questions and dig the dirt necessary for an investigator. Her being cast in this role makes perfect sense. 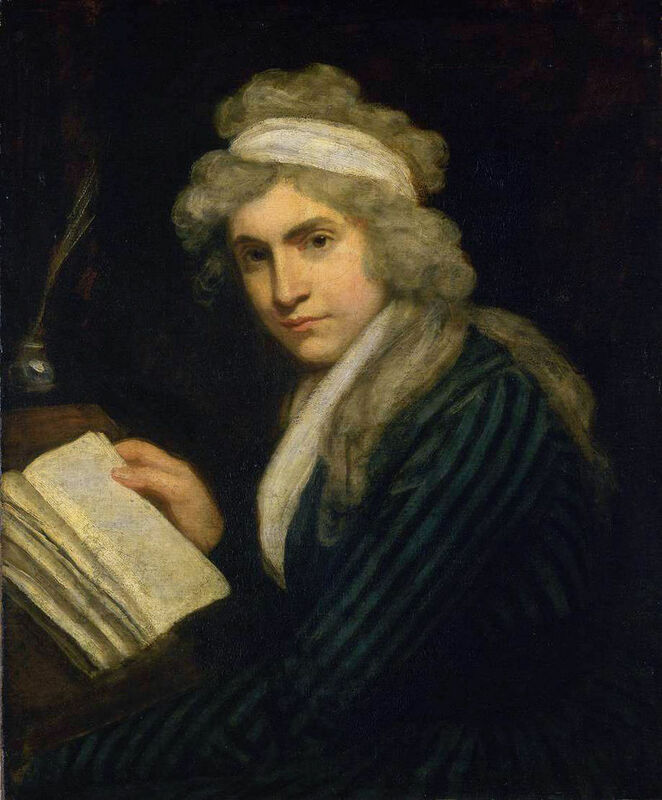 The novel is set during Wollstonecraft’s tenure as governess to the aristocratic Kingsborough family in Ireland and does a neat job of characterizing “the troubles.” We also get good views of the workings of the Kingsborough family, as well as how contemporary views of women have stunted and warped them – right in line with MW’s own writings. The descriptions of the landscapes are a pleasure to read as well. Not least of all, the mystery has some neat twists and turns. The Ghost and Mrs. Muir was a pleasantly amusing visit with the supernatural – a low key, smile-inducing progress of Lucy/Lucia Muir’s liberation from oppressive Edwardian propriety to become a mischievous, independent woman – with a little help from a frank and fiery sea captain’s ghost – though she was already well on her way to freedom before they met at Gull Cottage. There are some significant changes from book to film, but both work equally well. 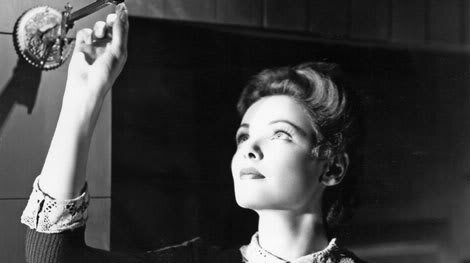 I do think that Gene Tierney gives Lucia Muir a bit more power than the character in the book. There are four books that I usually return to once I finish any new prizes for the month: The Uninvited (Dorothy Mcardle), The Sign of the Ram (Margaret Ferguson), The Undying Monster (Jessie Douglas Kerriush), and Redeeming Time (me, unpublished – yet!). What I admire in the first three (and try to emulate in the fourth), is the depth of characterization, the creation of a powerful mystical/eerie atmosphere, the vividness of the landscapes, and the intelligence of the storylines. What makes them such a pleasure to read is their authors’ deftness with language: there’s enough detail to savor and shape your imagination but no excess or filler. Right now, I’m working on The Uninvited. 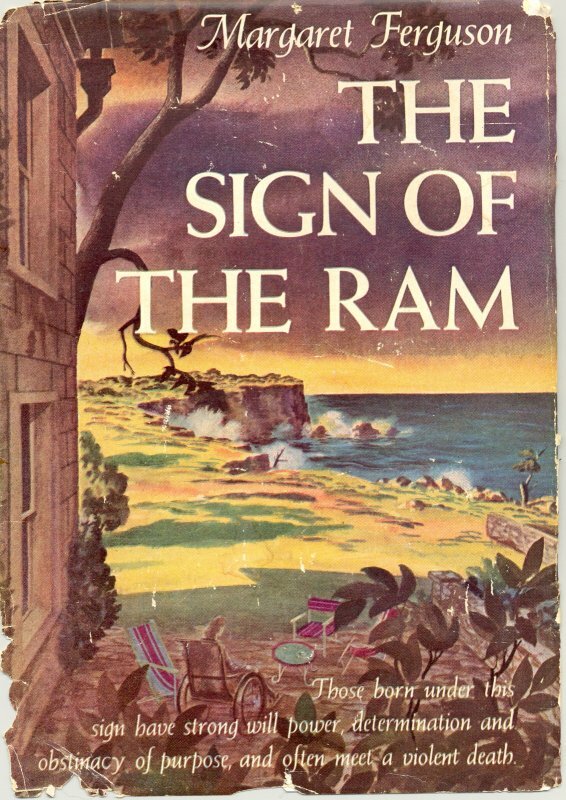 I review it and The Sign of the Ram on this web site, under Golden Age Mysteries. The Undying Monster is part of the psychic detective genre, with a woman psychic brought in to help a scientist uncover the nature of the beast that has ravaged an ancient British family for centuries and now threatens to destroy his two close friends. The novel deftly captures the post WWI fascination with psychic phenomenon and leads characters and readers into the dark depths of ancient ruins, crypts, and family history to reach a final, mystical resolution – and it’s a fun ride! What’s Redeeming Time about? Think H. P. Lovecraft meets film noir meets Indiana Jones meets Val Lewton. Thank You. When i get to the library I will look up the books. They seem to be interesting choices. Sue, They are wonderful reading. They are imaginative and delicious to read. the prose is a pleasure to savor, the characters are developed so you care about them, the the mysteries are usually pretty neat. if you do get to read them, let me know and we can discuss them! That would be great. I found out where the town library is. I saw it when I went to the town hall to vote for neither Hillary nor Donald. I am still reading your book! I hear your voice every time Jessica speaks. I need to pretend that I don’t know the author so I don’t ask myself so many things that pertain to the writing of the material…..There are so many things at play all of the time. I will just block you out and read this promising piece without a thought to the how’s and the whys of it. I really want to get this read before I try borrowing books from the library with a limited time to read them. it worked….I read 10 pages not hearing your voice…..I will have Bait and Switch read soon! Bennett plays a smart talking gal and listen for her voice. Those parts that she played influenced my creation of Jessica. I can do that… they have the old movie channel here…. well… Classic Movies. I could picture her playing that part…I can hear her voice now. I shall try that in the next reading! Happy Halloween. We got 1 ring of the doorbell…2 kids with their dad…it is almost 8 pm so I guess that was the big turn out tonight. We have no sidewalks on my street, so we seldom get trick or treaters. A real shame when you consider what my yard looks like! Last night, I was at Mrs. Bridges Pantry giving a reading and signing to the book club. It’s a lovely evening, with an evening tea provided. If you just want to be a listener, you can make a reservation (even that day) and it’s only $15.00. I want to go back at some point to just hear their speaker and have a nice tea! Where is Mrs. Bridges Pantry? ….and don’t say off her kitchen. Also, check out my review of tea rooms in CT on my web site for a description.